Amid such trying and heady times, it’s rather pleasant – reassuring, even – to hark back to an earlier age; reveries of the past can rest lightly on the human psyche, especially when compared to modern day’s constant bombardment of commericalisation and politics. It seems everything in our society – from paintings to literature to what we watch or wear – is laden with alternate meaning or agenda. But can something not exist simply to be beautiful? Katherine Bakhoum’s latest exhibit at the Safarkhan, “La Belle Epouque”, is exactly that: beautiful for the sake of being beautiful. 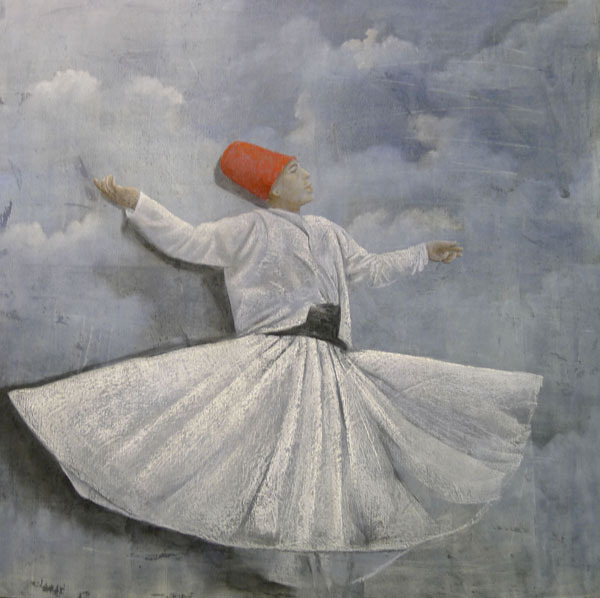 She explains: “The exhibition has no special concept, other than the beauty and elegance of easier times.” The images are simple: a lone horse, a whirling dervish, an idyllic lea. 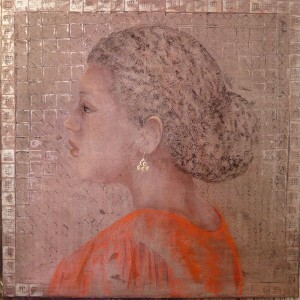 Her work evokes a sense of serenity and elegance, alluding to inherit beauty of nature, the human body, and creatures. Bakhoum would go on to study in Paris at l’Atelier Met de Peninghen, a specialised school within l’Ecole Estinne. Though the experience gave her the base she needed to become an artist, Bakhoum learned to sketch on her own by experimenting with multiple mediums. For the past eleven years, Bakhoum has held an annual exhibit at the Safarkhan Gallery in Zamalek. Though she resides permanently in Paris, displaying her work in Egypt is a way to stay connected with her past and promote the work of Egyptian artists. Her current exhibit is especially evocative of her roots, as many of the images are inspired by Oriental ideas. Majority of the paintings in “La Belle Epoque” are done on canvases that have been prepared with various materials. Bakhoum paints the canvas with different pigments and water colours, and then uses pastels to draw figures. If you look closely, you’ll notice all of her colours have a distinctive shimmer. This is created by mixing the paint with ground marble. The effect gives her work a somewhat surreal, dreamy characteristic. Is it hedonistic to observe art and focus only on the colours, shapes, shading and feeling it evokes. Perhaps, but don’t we all need to escape? The real world – the modern world – is ugly enough. Art can be political, but it can be can also be pure, and unsullied with beliefs, affiliations and subversion. Bakhoum’s exhibit might have come at the perfect time: Egypt could use a dose of simplicity, of winsome loveliness. 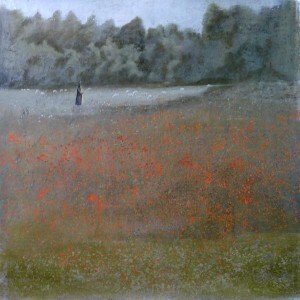 Katherine Bakhoum’s “La Belle Epoque” will run at Safarkhan through 23 March 2012. For more information call +202 2735 3314 or visit www.safarkhan.com.